Entrepreneurship is being developed everywhere in the world. One of the most recent initiatives is the Global Entrepreneurship Program Indonesia (GEPI). It is the Indonesian version of a U.S. State Department-led effort to promote and spur entrepreneurship in Indonesia. The program was first mooted by U.S. President Barack Obama in his Cairo speech in 2009 and selected Egypt for its first project. Indonesia came next. 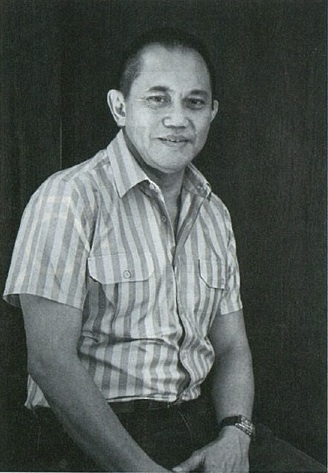 A group of local 13 business leaders, including Ciputra, Shinta Widjaja Kamdani, Sudhamek Agoeng Waspodo Sunjoto, Theodore Rachmat, aim to promote local entrepreneurs. The GEPI chairman is Chris Kanter, 59, who is the chairman of the diversified Sigma Sembada group, which does contracting, logistics and transportation. 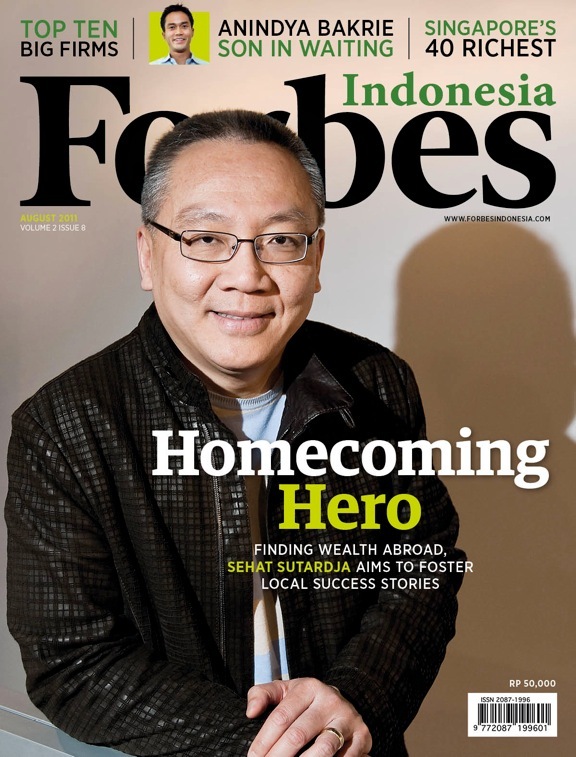 He talked more about the program’s goals recently to Forbes Indonesia. 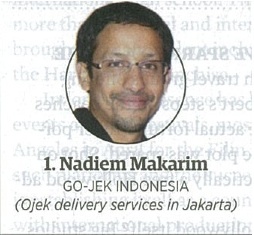 FORBES INDONESIA: Could you tell us about how you and the 13 business leaders got involved in GEPI? CHRIS KANTER: The main foundation of GEPI is the drive among these business leaders. These businessmen, who obviously experienced entrepreneurship firsthand, see it as a solution for economic problems. This is the foundation and we have to make sure that the foundation is strong. We don’t want someone becoming a businessman by accident, just because he couldn’t do this or that. It has to be by design. So these 13 business leaders, of different generations, have agreed to help out. The goal is to speed up the development of the spirit of entrepreneurship. Under what formula? We still do not know that, just yet. We’re still searching for it. Actually, each of these businessmen has already started some form of entrepreneurship activities but they do it sporadically. I’m doing it with HIPMI [The Indonesian Young Entrepreneurs Association], Pak Ciputra with his universities, Jacob Oetama with Kompas, and Sudhamek is helping small and medium businessmen. We saw that the Global Entrepreneurship Program was a success in Egypt. We think this program could provide us a model to help us do the same in Indonesia. The biggest support that we could use from the U.S. State Department is technical assistance, which we could incorporate into GEPI. We met several times to discuss all kinds of concepts. We decided to use the Global Entrepreneurship Program concept as a guideline but with modifications so it can better help HIPMI, and other organizations that already have entrepreneurship programs such as the Bandung Technology Institute, HM Sampoerna and Bank Mandiri. FI: Why do these business leaders feel the need to encourage entrepreneurship? CK: Because we realize we cannot rely on the government solely for our economic development. As you can see our economy grows largely because of the domestic demand, while the government spending is relatively small. The current growth rate remains unable to absorb all the people looking for work, resulting in unemployment. With robust entrepreneurs, more job opportunities will be available in the country. FI: Egypt is accepting significant support from USAID. What about Indonesia? CK: No. We started GEPI with the initiative from the 13 business leaders and we think we can do it [without USAID support]. What we need is technical assistance. FI: Could you elaborate on how the Egyptian program differs from what is happening in Indonesia? CK: We are adopting Egypt’s formula in selecting entrepreneurs, which is through competition. We use a system called Entrepreneurship Delegation. Under this concept, we review all applicants who submit to the program. Then we will pick 32 aspiring entrepreneurs or start-up firms, and introduce them to our delegation, which consists of prominent U.S. businessmen such as ATI Enterprises Chairman Arthur Benjamin, Ellis Construction Chief Executive Kevin Langley, and John May, founder and Chair Emeritus of Angel Capital Association of America. This delegation and our committee will then select four winners, two each from the technology and non-tech sectors. The winners receive in total $40,000 prize. Even though there will be only eight winners, all 32 finalists will have a chance to meet the delegation. We are hoping that this event will bring opportunities not only for the winners but also for the finalists, maybe for further investment or simply to get fresh insights in doing business directly from the experts. FI: GEPI has identified six key activities to promote entrepreneurship. How are you going to develop these six activities? CK: There are many entities, local or multinational, that are already promoting entrepreneurship. We are not the only one and do not intend to become the only one. We are happy to be a part of it. So GEPI will act only as an umbrella. We identify entrepreneurs who already exist in many organizations or having been selected in other similar competitions. We give them training on how to develop their business, make a business plan, market their goods, and so on. In the program we will not let the entrepreneurs embarrass themselves by not being ready to make presentations to the delegation for instance. We want them to make a good impression. To do this, we have set up a tailor-made training program consisting of notable experts such as Anies Baswedan and Tri Mumpuni to guide them. 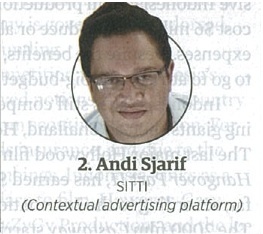 FI: GEPI wants to become a catalyst for Indonesian entrepreneurship strategies, how are you going to do it? CK: We don’t want to be the only organization pushing for entrepreneurship. We want GEPI to become an umbrella organization. We will encourage existing activities or organizations to keep doing what they are doing while we will help them in other parts. FI: Where do you think Indonesia ranks compared to the rest of the world? CK: Indonesia is lagging behind, largely because the environment is not really conducive for entrepreneurs here. You can see people like Sehat Sutardja [of Marvell Technology Group] who can become a major success because he works in the U.S., building his business from scratch with his wife and brother. Such a thing may not be able to happen here. Here the lack of financing is only one of many problems. The number of entrepreneurs is still very small [about 0.18% of population] here. Economic theory says a country needs at least 2% of its population to be entrepreneurs to become prosperous. We are a country with one of the world’s biggest populations. This is what I think why the U.S. picked Muslim countries such as Egypt and Indonesia to kick off the Global Entrepreneurship Program. With a big population, the impact of more entrepreneurship can be enormous. # Steven Surojo, ProHukum, management solutions for law firms. 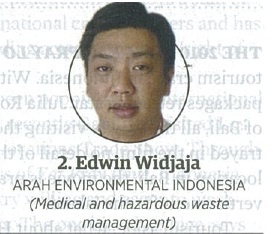 # Nurana Indah Paramita, Marine Current Turbine, marine turbine producer. 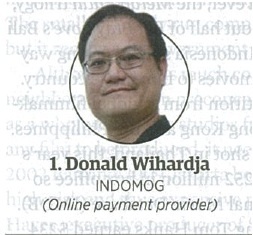 * This story appears in August 2011 issue of Forbes Indonesia magazine. This entry was posted in Ideas, Publications and tagged Andi Sjarif, Arah Environmental Indonesia, Barack Obama, Chris Kanter, Ciputra, Donald Wihardja, Edwin Widjaja, entrepreneur, entrepreneurship, Global Entrepreneurship Program Indonesia (GEPI), Go-Jek Indonesia, Indomog, Jacob Oetama, Nadiem Makarim, Shinta Widjaja Kamdani, SITTI, Sudhamek Agoeng Waspodo Sunjoto, Theodore Rachmat by Pudji Lestari. Bookmark the permalink.